AJ Removals of Bath, Somerset is the latest company to go live on Move Administer. After a successful trial period, high recommendations and talking to us at The Movers & Storers Show, a 2 user Move Administer with a full day's training, split over two consecutive days. We look forward to being of service to Alan, James, Hannah & Mike. Please note: This only affects you if you are an insured remover! I am sure you are well aware the Insurance Premium Tax rate increases from November 1st from 6% to 9.5%. Having been in consultation with Basil E. Fry & Son and HMRC recently, running through a variety of examples, I am pleased to announce that an update to Move Administer will be released on Monday to ease the pain of this increase. If you invoice your removal customer in October for an October move then the IPT rate is 6%. If you invoice your removal customer in October for a November move then the IPT rate is 9.5%. 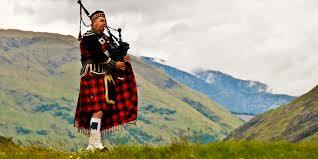 If you invoice your removal customer in November for an October move then the IPT rate is 6%. If you invoice your storage customer in October for October then the IPT rate is 6%. If you invoice your storage customer in October for October to December then the IPT rate is 6%. If you invoice your storage customer in October for November then the IPT rate is 9.5%. If you invoice your storage customer in November for October then the IPT rate is 6%. The general rule is that the rate of IPT is decided upon the commencement of the contract and not the date/tax date of the invoice. There will be the odd caveat to be aware of which will be highlighted in our forthcoming instructions. Move Administer already has a VAT/IPT Adjustments process on the Tools menu, however, minor tweaks have been made to ensure only the IPT is affected. When the process is executed the IPT rate will increase for all Services, unaccepted Quotations, unaccepted Quotation Services, current Storage and current Self Storage. With regards to Services, Quotations and Quotation Services the totals will be recalculated accordingly. HMRC have also confirmed to me that if you are quoting in October for removals taking place in November then you can quote IPT at the new rate of 9.5%. Therefore, I would recommend you create a new tax code (Tools -> Options -> Accounting -> Tax Codes) and set the rate at 9.5%. Your default IPT code will remain at 6%, but if you know the customer is moving after November 1st you can change the IPT code from within the quotation itself, also remembering to change it on any additional service you may be charging insurance and therefore IPT. 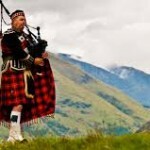 I will be doing a 4 day whirlwind tour of the Edinburgh area the week commencing September 7th, where I’ll be visiting old, current and hopefully new customers as well as providing a day’s training session to one of our clients. But I am also pleased to announce that I will be in attendance at the Scottish Area BAR Meeting, being held on Tuesday September 8th at The Hilcroft Hotel, Whitburn. So if you are attending and have any questions for me I will be completely at the disposal of the attendees throughout the meeting, so please do come and approach me, I don’t bite 🙂 If memory serves me right this will be the 4th time I have visited the Scottish area during my time of being involved in the Removals & Storage industry and I am thoroughly looking forward to returning once again. Once again we will be in attendance at the forthcoming Movers & Storers Show, being held at the home of the British Grand Prix, none other than the iconic Silverstone Motor Circuit. The show is being held in September on Tuesday 15th and Wednesday 16th, and it’s free if you register in advance here. Its a great place to network not only with industry specific suppliers but also fellow removers. And if you fancy your chances as a budding Lewis Hamilton then do pop over to our stand and try your hand on our virtual racer driving around the Silverstone Motor Circuit itself! We look forward to seeing you there once again. I have just returned from a fun day’s on-site training session, which was split over two consecutive days from long standing Move Administer user Kilmarnock Removals International. Kilmarnock Removals International are great believers in training and decided it would be good for me come up and spend some time watching over how the staff currently make use of the system, and then introduce them to shortcuts, new features and management reporting. Many new features were learned and several suggestions for Move Administer 2 were noted and brought back to the office for further discussion and thought. A. Luckes & Son (Removals & Storage) Ltd of Swindon, Wiltshire is the latest company to go live on Move Administer! After a successful trial period and recommendations a 2 user Move Administer with a full day’s training was chosen to replace their existing MoveMan cloud solution. We look forward to being of service to Alex, Sally and the team. 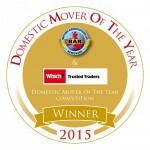 During the 2015 BAR Conference the coveted Domestic Mover of the Year (DMotY) winner was announced. The 3 finalists were Britannia Lanes of Somerset & Bristol, Reddaways Removals and Storage and Richard Healey Removals. Certificates of Merit were awarded to Maidmans Moving and Storage, Stranks Removals & Storage, Kilmarnock Removals International and Britannia Thomas Casserleys. There were only a few marks separating the three finalists mentioned above, but the winner for 2015 was Richard Healey Removals, congratulations to all concerned. Yet again, we are pleased to service several companies that made it through to the final 7 companies, highlighted above in bold. 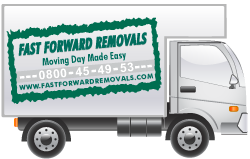 Long standing Move Administer user Fast Forward Removals of White Hart Lane, London, have enhanced their surveying and sales operations by taking not 1 but 2 Survey Administers! Running on Microsoft Surface Pro 3’s Survey Administer has been setup using the popular file sharing service of DropBox, allowing immediate collaboration of survey information between the surveyors and the office, dramatically decreasing the turnaround time to produce and email a quotation to the customer! For more information on Survey Administer click here. Dibbens Removals of Ryde on the Isle of Wight is the latest company to go live on Move Administer! After a success trial period a 3 user Move Administer was installed with a full day’s training. Move Administer was chosen to replace their existing system Remstar, for which we offer a complete data transfer utility. It’s great to be of service to Dan and his team at Dibbens once again! Central Moves Ltd of Twickenham, Middlesex is the latest company to go live on Move Administer! After a successful trial period, Managing Director, Scott Rust chose to replace his existing bespoke system with a 6 user Move Administer with our Shipping Administer module, choosing Move Administer over MoveMan. We look forward to being of service to Scott and his team!